Ever since I was sent the debut album from Scottish band Glasvegas, it's been stuck on repeat in my CD player-- instantly addictive with that irresistible combination of retro surf sounds and dreamy contemporary indie rock-- the CD offers a musical rush to listeners' ears with one invigorating track after the next. "Proclaimed by NME as "Britan's Best New Band," the combination of their incredibly sonic and layered music, along with James Allan’s heartbreaking lyrics and vocals has the band poised to win over the US as well. 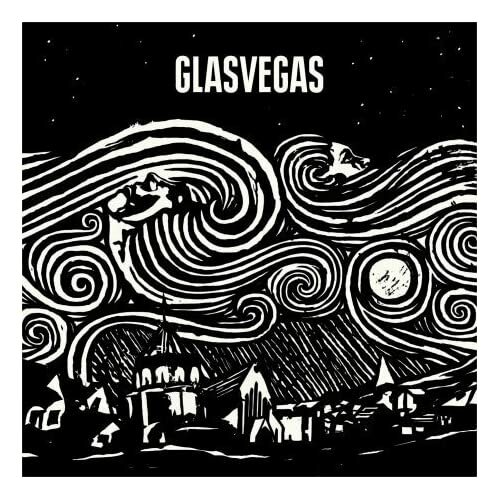 Glasvegas was co produced by singer James Allan and Rich Costey (Franz Ferdinand, Interpol, Muse) in Brooklyn , NY over the Winter and Spring of 2008. The band also recently stole away to Transylvania to record a Christmas EP, which was available over the holidays." "Glasvegas frontman James Allan coined the band's name -- a post-modern mash-up evoking the industrial working class grit of his native Glasgow and the glittering high-rolling no-clocks no-windows 24-hour-party promise of Las Vegas -- "…before I even had a song. In the past, Scotland was quite good at putting itself down, everybody sang with a vague American-ish accent. I wanted our band name to be proud and unapologetic. Certain words just roll off the tongue." "Indeed, certain words and music just roll from the mind of James Allan and through the propulsive, majestic and unapologetic vision of Glasvegas, one of those rare bands whose sound, sensibility and attitude connect directly with the hopes and aspirations of its audience. "The group's self-titled debut album, produced by James Allan and Rich Costey (Interpol, Muse, Franz Ferdinand, Mew), entered the UK album charts at #2 shortly after its release in September 2008 and Glasvegas -- the band, the sound, the state of mind -- is being heralded as "The Greatest New Rock and Roll Band in the World" (NME, June 21, 2008). "For James Allan, whose pre-Glasvegas resume includes a couple of years on the dole, music offered a way to express the thoughts and sounds in his imagination and a way out of a working class environment that offered unemployment as often as labor. "His earliest musical inputs came from his older sister, Denise, who turned him on a range of sounds from Madonna to Kate Bush to Bob Marley, and his mother, who hooked him on the classic pop, soul and rockabilly of artists like Roy Orbison and the Righteous Brothers. "I never bought any records myself," he remembers, "I'd listen to the music that other people were playing." "Sharing an innate love of wordplay and the musical qualities of a well-turned phrase with the 18th century Scottish poet Robert Burns (another unapologetic Scotsman from humble beginnings and transformative talents), James began his first poetic experiments at the age of "9 or 10," turning in a poem "about school being so gruesome." The positive reaction from his teacher "stuck in my head… I didn't get a lot of compliments in school because I was quite naughty." "It was a natural jump for James to begin linking his poems to the pop melodies he could hear in his head. "A boy my sister was going out with bought her a guitar," he remembers. "I strummed it and it felt quite good. I learned a few chords. Where we come from, nobody plays guitars or stretches themselves in that way, so when I told my family I played guitar, I thought it was this big event…that was my version of coming out of the closet…and everybody just said, 'Alright. Cool.'" "James' first musical cohort turned out to be, naturally enough, his first cousin Rab Allan. "Our mums are twin sisters," says James, "but not identical. One's got blond hair and blue eyes; the other's got brown hair and brown eyes. Rab and I grew up together. Someone gave him a little classical guitar and we started playing music. We were like the Glaswegian Everly Brothers." "Paul Donoghue, the future Glasvegas bass player, was in the same year in school as Rab while Caroline McKay, the future Glasvegas drummer, worked in a vintage clothing store often frequented by James. "We became friends at first," James remembers. "She looked like something out of a movie. She always looked like she should be in a band or something but she'd never played drums. We all used to go to Caroline's house and just sit and listen to records and have a good time. We'd listen to a lot of music that we loved that the clubs never played…Jerry Lee Lewis, Suicide, Dion & the Belmonts. We bought a drum machine first and gave her one drum. And I started writing songs. We just had fun." "Before long, James was recording demos at home "on a little computer hanging together by a thread" and Denise, James' sister, began managing the fledgling ensemble. "She's never worked in the music industry before," says James. "Denise was really encouraging and thought we were destined to travel the world." "An early Glasvegas performance at Glasgow's King Tut's Wah Wah Hut (a 300 capacity hall renowned throughout the UK as a new talent showcase and prescient host to shows by then-emerging artists like Oasis, Radiohead, Beck, Travis and others) caught the attention of British music mogul and tastemaker Alan McGee, who heralded Glasvegas as "The most exciting thing I've heard since Jesus and Mary Chain." McGee's "Death Disco TV" became the first television outlet to broadcast Glasvegas. "Things started getting quite intense," James recalls, "when we played Alan's club night in London called 'Death Disco.' We were seeing genuine excitement at our shows." "Glasvegas released its first DIY single, "Go Square Go!," on October 30, 2006. The group's 2007 follow-up single, the limited edition 7" "Daddy's Gone" was voted the #2 Single of the Year by the NME. Shortly after releasing the band's third limited edition single, "It's My Own Cheating Heart That Makes Me Cry," on Valentine's Day, 2008, Glasvegas took home the Philip Hall Radar Award (a prestigious new band prize voted on by the NME staff) at the Shockwaves NME Awards 2008. "Glasvegas came in at #4 on the BBC News Sound of 2008 Top 10 poll of the UK's brightest new acts as selected by approximately 150 of UK-based music writers, editors and broadcasters. According to the BBC, "Glasvegas draw on rockabilly and pop from the 1950s and '60s, using a backdrop of brooding guitars to create their own wall of sound, a bit like the Jesus and Mary Chain playing the 'Grease' soundtrack." "Glasvegas spent much of 2008 building a reputation as one of the UK's top live bands. The group's concert dates in Scotland sold-out in under a week and the UK music press lathered praises on Glasvegas for the group's performances at a number of high profile festivals including SRO shows at Glastonbury and T In The Park. "Glasvegas came to America earlier this year to record the band's debut album at Brooklyn Recording Studios. The album premieres new recordings of the group's early singles "Daddy's Gone" and "It's My Own Cheating Heart That Makes Me Cry," as well as new songs including "Geraldine," the debut single from the album. Released in the UK on June 16, "Geraldine" reached #16 on the UK charts and #1 on the NME singles chart. "Glasvegas opens with the long orchestral feedback pulse of "Flowers & Football Tops," written by James after the racially-motivated murder of 15-year-old Kriss Donald in March 2004. "Sometimes when you read things or see things on TV, you can't help but put yourself in the position of people's misfortune," says James. "It's about how cruel it can be that some kid can leave home one night and not come back. I saw a picture of his mum in the paper and thought about how a mother would handle that because everybody loves their mum so much that you'd never want her to go through that pain." "I wanted to write a poem about a person showing another person compassion," James says of "Geraldine" while "Go Square Go" is "about the pressures that families put on their kids…like families that tell kids to fight and not come home." "Polmont On My Mind," the story of a kid in HM Prison Polmont, the largest detention facility for juvenile offenders in Scotland, describes "how fate can be cruel and change your life forever." "According to James, "Daddy's Gone," is "me saying I want to make things right in my life now. I don't want to get to a point where I am regretting things, as that regret can destroy anybody." "Stabbed," one of the more arresting tracks on Glasvegas, features James reading an original poem expressing "common fears" over an intense and subtle interpretation of Beethoven's "Moonlight Sonata" played by American composer Paul Cantelon ("The Diving Bell & the Butterfly," "W."), the husband of James' friend, Angela McCluskey, singer with the Wild Colonials. "To me, that’s what heavy metal was," James observes. "Some heavy metal gets called heavy metal but it's totally cheesy music. Heavy metal to me can be Johnny Cash on an acoustic guitar." "For James, Rab, Paul and Caroline, Glasvegas is a way of life. "We get along, we love each other," James admits. "Because we started out as friends, we have a powerful foundation and can withstand a lot of pressures. It's good, man, it's what I wanted. My personality is much better suited to being in a rock & roll band than playing football." "According to James, his "favorite song of all time is 'Be My Baby'…as close to perfection as anybody can get." Glasvegas comes just as close." Video availability changes daily-- if you discover a broken video link, let me know via the feedback form. Also, videos, links, and photos are merely used for promotional purposes and do not denote copyright ownership. If you hold the copyright and would like any item removed, please let the blog author know. 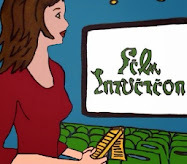 Additionally, Film Intuition is not responsible for the content of any official film site. Music Video: Chairlift's "Evident Utensil"
Music Video: Reel Big Fish's "Take On Me"